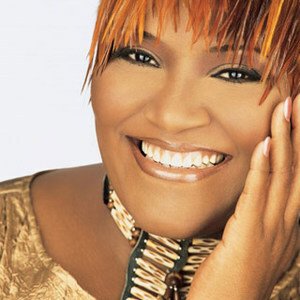 Born in Atlanta, Georgia and raised in a small community called Poole Creek, Pace first emerged during the mid-1970s, performing alongside her siblings in the group The Anointed Pace Sisters. Her singing and ministering skills were further honed while she toured with the Rev. Gene Martin and the Action Revival Team, and in 1988 she recorded In the House of the Lord with Dr. Jonathan Greer and the Cathedral of Faith Choirs for Savoy Records. The label signed Pace as a solo artist soon after, and in 1990 she issued her debut He Lives, which reached the number two spot on the Billboard gospel charts and featured her signature song "I Know I've Been Changed"; the follow-up, Shekinah Glory, appeared in 1993. Three years later, Pace returned with Wealthy Place; in addition to successive releases including 1998's Just Because God Said It, she also enjoyed a career as an actress, most notably co-starring as the Angel of Mercy in the 1992 Steve Martin film Leap of Faith. In 2003, Pace authored an autobiography entitled For My Good But For His Glory in which she discussed a wide range of topics, including the death of her first-born daughter, Xenia. LaShun was inducted into the Christian Music Hall of Fame in 2007. She was to be at the official presentation ceremony with numerous other guests to be formally inducted, but fell ill and was unable to attend. In 2009, LaShun was nominated for Urban Performer of the Year in the Visionary Awards. Winners to be announced live during the 2009 Christian Music Hall of Fame Awards Show on November 14, 2009.